Can Older or Plucked Parrots Learn to Fly? Your parrot’s feathers speak to its overall health. A healthy parrot will have soft, vibrant and well-formed feathers. Flaws in the feathering, such as discoloration are often a sign of poor diet or the lack of sunlight, but can also be attributed to illness and the subsequent use of antobiotics. It can also signal serious organ problems or PBFD. 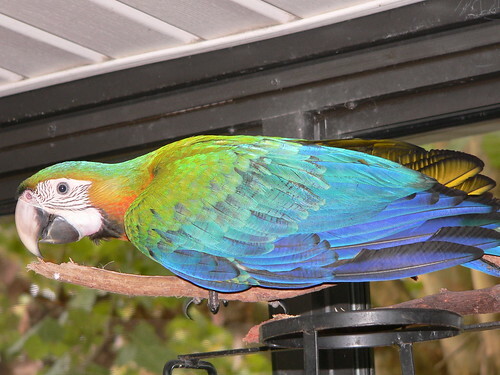 If you have noticed a change in your parrots feathering, you should seek the attention of an avian certified vet to rule out any significant health issues. 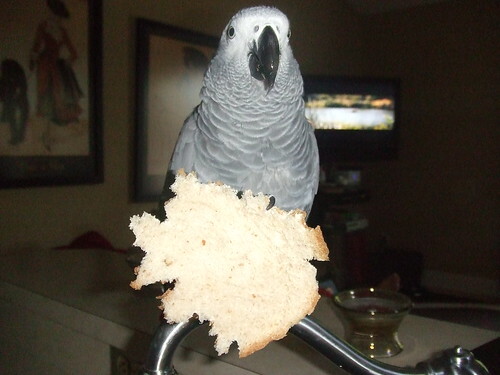 Veterinarians say that obesity is the most common health problem they see in companion parrots today. Many experts say that owners tend to overfeed their birds, offer too many snacks, or are just poorly educated about nutrition. Can you believe that the bird in the photo above is that same bird? I know I can’t!